Toyota is returning to the 2018 Super Bowl like never before using sports to unite and inspire during three ads in the most-watched television event of the year. The final spot to be released is from the domestic U.S., longtime campaign “Let’s Go Places,” empowering viewers to see what they’re capable of when fans unite through sports. For the first time in the company’s history, Toyota will have three primetime commercials which will be airing in the first quarter, halftime and second half. 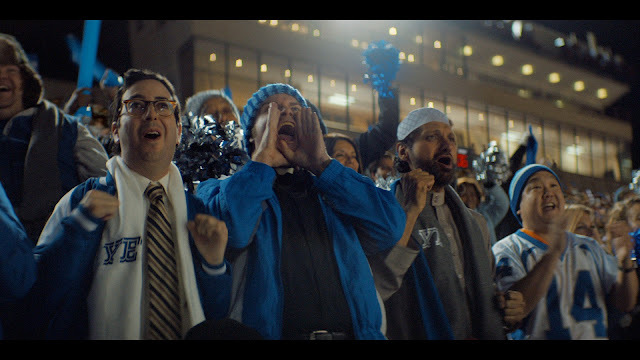 Previously released were Toyota’s 60-second “Good Odds” which celebrates the automaker’s evolution to a mobility company and its eight-year global sponsorship of The Olympic Games and Paralympic Games and the 30-second spot “Mobility Anthem” highlighting Toyota’s belief that when you are free to move, anything is possible.